Congratulations to our winner, CZiegler, selected randomly via random.org. Make your walls stand out! 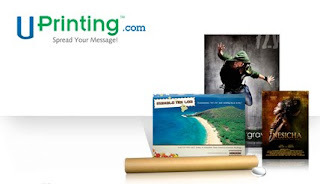 UPrinting.com would love you to check out their site and all of the products they offer to print online. One winner will get to try their poster printing for free by winning an opportunity to showcase a favorite photo or artwork. *Get 4 for more entries (for a total of 5) if you tell me what picture or piece of artwork you'd love to make into a poster. This giveaway will close on Friday, March 19th. *Giveaway prize provided by UPrinting.com. They will also provide me with a blogger appreciation item.